EPSB First Nations, Métis and Inuit consultants Jeremy Albert (left) and Holly Yuzicapi (right) work on flutes during the PD workshop. Workshop participants point to the Truth and Reconciliation Commission of Canada’s final report, released last year, as well as the provincial government’s promise to focus more on including Indigenous culture and history into Alberta’s curriculum as two reasons—among many—why professional development like this is needed. 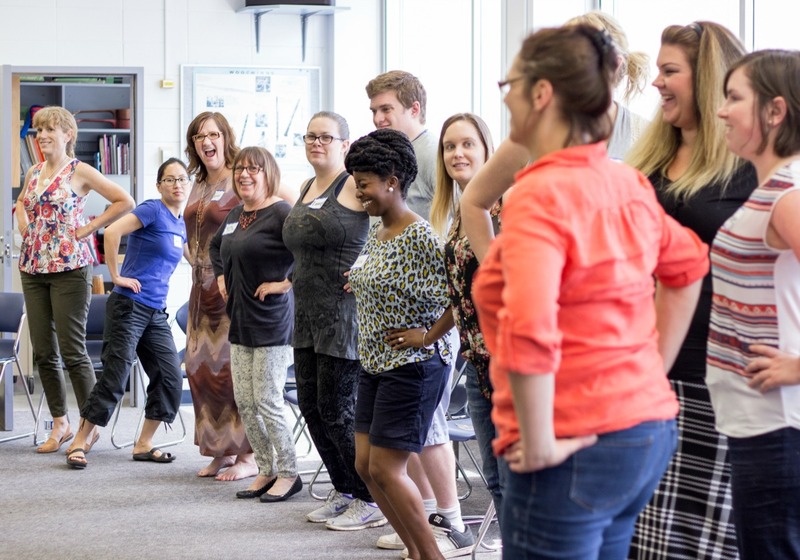 Feature image: Participants in the First Nations, Métis and Inuit Elementary Music Teacher Professional Development Workshop try out some new dance moves.